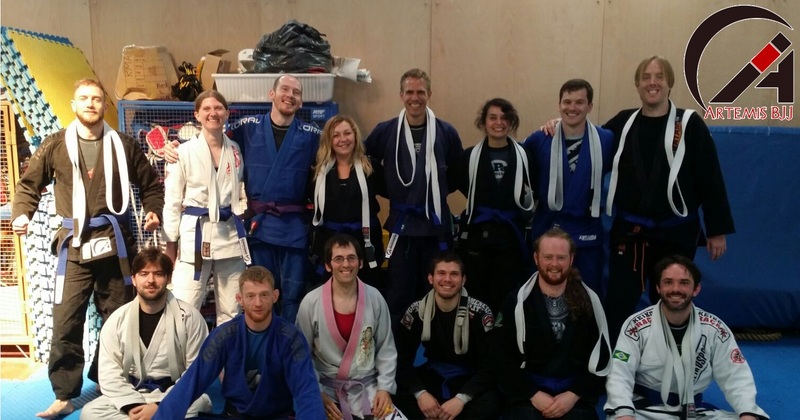 Can and Dónal founded Artemis BJJ back in January 2014, with the women’s class beginning shortly afterwards in July 2014. We’ve grown a lot since then, going through many changes. The most significant was Dónal’s move to Wales in late 2014, meaning that Can suddenly found himself running a jiu jitsu club on his own. It’s been a steep learning curve with some interesting challenges. Perhaps the biggest has been to decide how to grade the excellent students we are lucky to have on our mats. As it turned out, the solution was much less difficult than expected. Can originally began his training in 2006 at the Roger Gracie Academy. He soon met a purple belt there, Kev Capel. A few years later, Kev mentioned to Can that he was starting his own school back home in Buckinghamshire. So, when Can was living near High Wycombe in 2009, the choice of where to train was obvious: Kev’s still relatively new school. Although Can moved to Bristol in 2011, shortly after he was promoted to purple belt by Roger Gracie and Kev, he had no desire to be graded under anybody other than Kev. Can has met countless people in BJJ, but there are very few that can match Kev’s combination of teaching skill, character and integrity. That connection has therefore been maintained ever since, with Can making sure to travel up to Aylesbury regularly. When Artemis BJJ was founded in 2014, it was intentionally not affiliated to any large organisation. Instead, Can decided he wanted to go the BJJ Globetrotter route (having been impressed by the way Christian ran things, particularly the great atmosphere at his BJJ Globetrotter Camps), as that fit well with his principles and feelings about jiu jitsu. While Can remained individually under Kev, grading under him, he was not sure how to get his own students promoted. The solution was sat in front of him the whole time: as soon as Can asked his instructor, Kev straight away agreed to pop down and do a grading seminar. We can’t thank you enough. 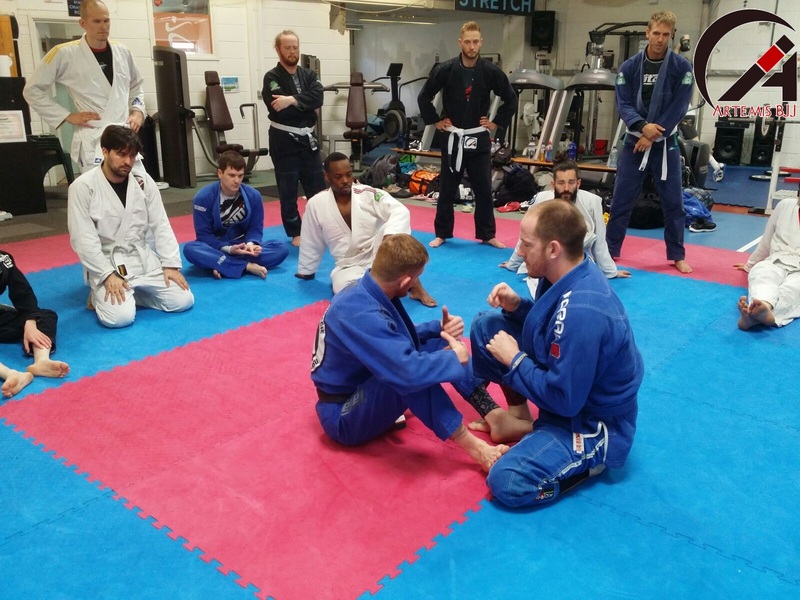 On the 11th June 2017, Kev was able to grade twelve students to blue belt, many of whom had been training long before Artemis BJJ was in existence (ranging from two years to over a decade). He also promoted Artemis BJJ stalwart Chris Jackson to purple belt, very well deserved: Chris has been a blue belt for a long time. A special moment of vindication and pride was seeing three women get promoted. Creating a women’s class was a priority for Can when he started the club. It’s continued to grow, especially now that as of this year, it is in the capable hands of Lisa. Huge congratulations to Milka, Ruth and Kirsty! 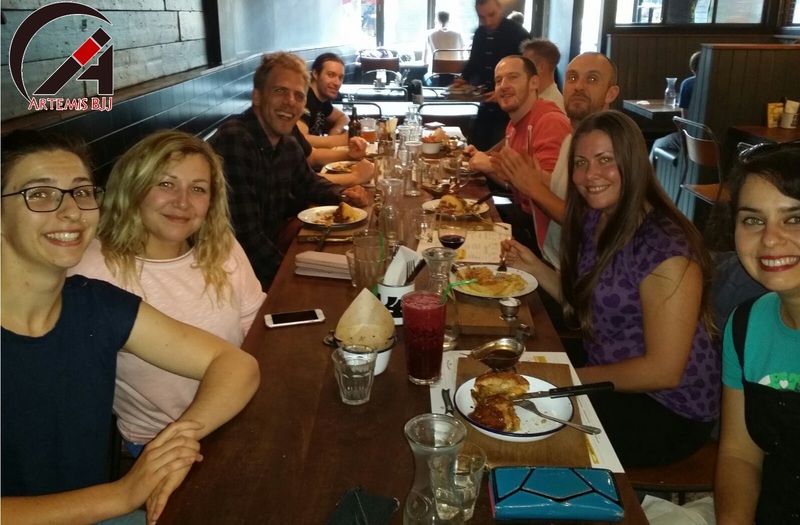 Thanks for the write-up on the MYGYM blog, Anona!